Easily forgotten, but is accessible on almost all computers, tablets and chromebooks and looks brilliant on an interactive whiteboard. The Earth app can be downloaded, and then it is a matter of inputting in postcode or landmark. With maps you can access online. Earth also has additional features, including a map gallery (through google map) and Mars and Sky on the PC. Whether you have a mixture of devices, just the one, or work in a 1:1 environment you will find google earth a useful tool. 1. Geography – compare and contrast – as a resource for pictures and evidence, using google maps and earth (app on iPad) is quick and simple. As part of many resources, including atlases, maps and photographs you can get lots of information for comparisons. Can you write directions? 2. Maths – directions, size, distances, area, perimeter.. The list for maths goes on and on. Quickly snapshot google map images and then they can be drawn on, printed, used in other iPad apps such as Explain Everything. 3. Art – inspiration from Google Earth – compare different areas of the earth looking at colour and space used. Zoom in on landmarks. 4. Local area studies. Zooming in on Earth, then overlaying different information can provide lots of ways to examine your local area? Can you write a guide for your local area? 5. Go deeper – you can download tours and map packs – try searching for ‘google earth tours’ – the showcase is also very informative and includes gems such as this 3D tree tour. 6. Science and Space – Google Earth has a special Mars section – and there are loads of resources to support the use of it in the classroom. Find it in the browser here. 7. Challenge – can they find volcanoes? Can they find the tallest building? Link to historical sites, battlefields, archaelogical digs. Many key areas are available for a tour in 3D as well! 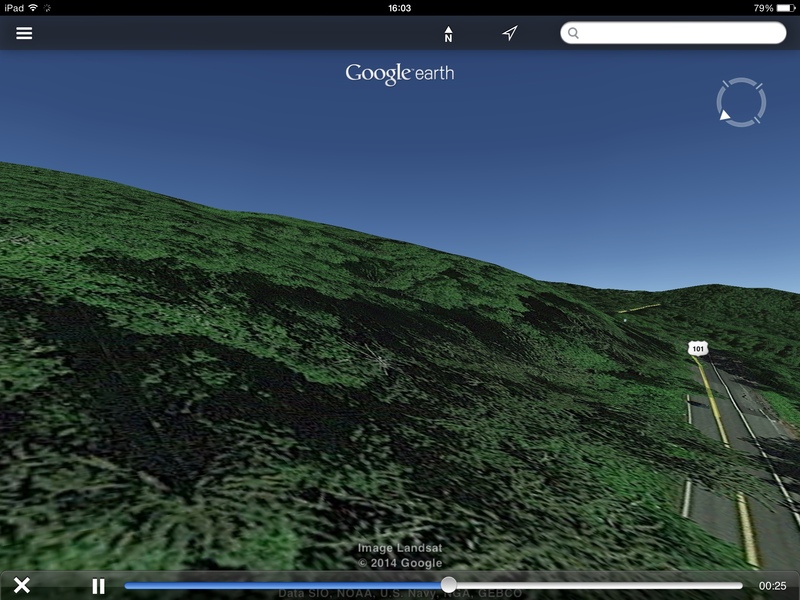 Got any interesting uses for Google Earth from your classroom? Please share! Posted by RS on January 4, 2015 in Digital Library, Don't Forget, Teaching and Learning and tagged googleearth.